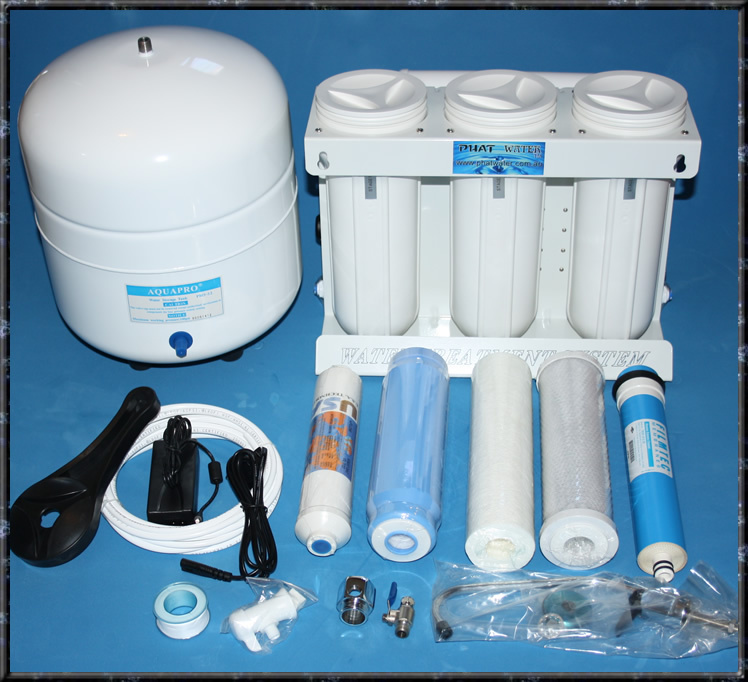 Here you will find all relevant information pertaining to what this kit price includes and what each stage of filtration does. This is the SMALLEST most compact unit on the market today. This unit because of the unique design and features, also saves on mess and fuss when changing over filter cartridges, you change from the top, not like normal traditional units where you had to undo the cannisters from the bottom of the unit, which meant water spillage everywhere.